This new style of Capri trouser that fits and flatters perfectly. It has a deep, covered elastic waistband and front seam detailing which runs down the centre of the legs on both the front and back of the trouser from the top of waistband visually lengthening the leg. 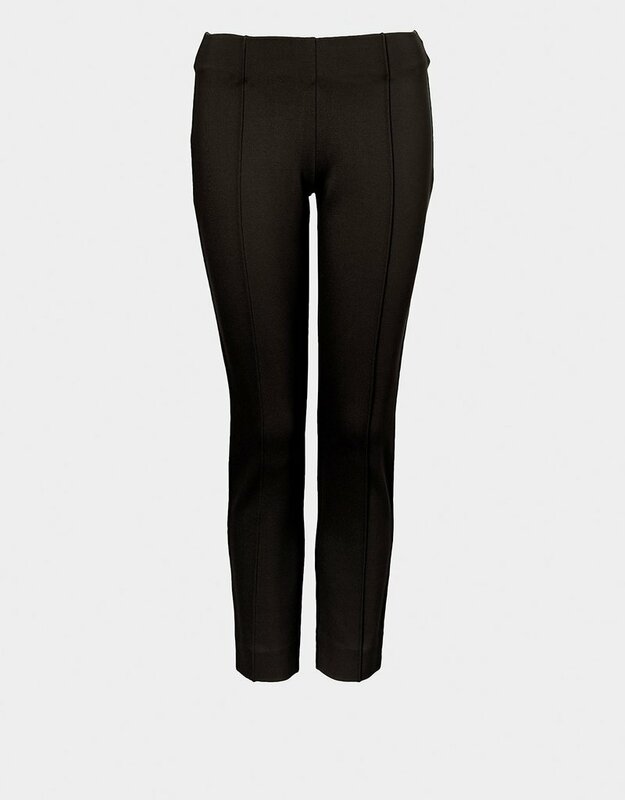 The Emma Miracle Pintuck Capri Trousers are made of double knit jersey Ponte di Roma fabric.